Lillian Nassau LLC is pleased to participate again in the Palm Beach Jewelry, Art & Antique Show. This year’s show runs from Thursday, February 14th through Tuesday, February 19th. The show will be held at the Palm Beach County Convention Center, located at 650 Okeechobee Boulevard in West Palm Beach, Florida. Visit us in Stand #1100 , located at the North Entrance of the show, where you will find a selection of recently acquired museum-quality works by Tiffany Studios both large and small in scale, including not one but two spectacular examples of the iconic Wisteria lamp designed by Clara Driscoll, in addition to a group of leaded glass lamps, blown Favrile Glass and Favrile Pottery vases, rare examples of Tiffany’s enamels, and more. We would be delighted for you to join us as we exhibit for the thirteenth time at this art fair. Please Click Here and enter your information to obtain a complimentary pass for two which will grant admission to you and one guest for the duration of the show. * Don't miss Appreciating Tiffany as Tiffany Appreciates, a fascinating lecture by our very own Arlie Sulka, which will take place at 1:00 PM on Sunday, February 17th in Lecture Room 1DE of the Palm Beach County Convention Center. 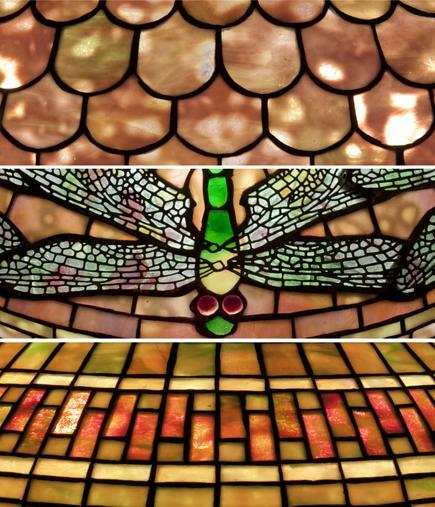 Having followed the market for the work of Louis C. Tiffany and Tiffany Studios, Arlie has observed a continuing and growing interest among old and new collectors. Since the mid-1950’s when the late Mrs. Lillian Nassau almost single-handedly created the revival of interest in Tiffany Studios, the important works of Tiffany Studios have steadily appreciated as collectors have become increasingly sophisticated and as more detailed information about Tiffany Studios has been revealed by Tiffany scholars. During her talk, Arlie will make comparisons of prices when the objects were first offered for sale by Tiffany Studios with their present-day values, tracing their increases over the past 6 decades and describing how great Tiffany collections are being formed today. For more information about the Palm Beach Show, please Click Here to visit the official Palm Beach Jewelry, Art & Antique Show website.